As today’s technology is steadily growing and inventing various techniques, we get to witness the best of services and opportunities. But now what we really are facing is that there are several mobile apps and mobile-friendly website that are on the verge of growing day by day. As the number of smartphones, tablets and mobile users is growing day by day, it has become very important for a business to have a mobile website. By having a mobile website, it will be able to grasp more users as it will be user-friendly and reach its target audience at the same time. It’s no secret now that that business only stands to benefit them by making accessible via mobile devices that is a far better option than being available on the computer and laptops that take more time. With a mobile responsive website or mobile app, businesses can boost sales, retain loyal customers and expand their reach. But the main question is which is better for you? Mobile websites or the Mobile apps? Mobile websites and mobile apps both ensure that the customers are easily accessible to do whatever they want to. But then both are not the same thing. While you need to download the mobile app first to do a function on it, on the other side you can just browse the mobile website quickly that gives you an instant access to do things better than the mobile app. The benefit of a mobile website is to make sure that the regular websites are more accessible for mobile users than the mobile apps. It can have all the same elements as the regular version of the website — right from its look and feel to pages, images, and other content — but it features a mobile-friendly layout that automatically offers improved readability and functionality when viewed on a smartphone or tablet. By having a mobile website, it would be convenient for the users to browse very easily as compared to the usage of mobile apps. On the other side, mobile apps are different. It is useful but benefits are more in the website. To run a mobile app, it first needs to be downloaded which takes a long time and then you can run you an application once it gets downloaded. Here, in this, you cannot browse directly when compared to the mobile website which takes you direct you to the site three times faster than a mobile app. Why is mobile application important? Although mobile websites and mobile apps aren’t the same things, they generally offer the similar features which can help you in business by making it easier for consumers to find and reach you. The usage of mobile application has become a part of the day to day lifestyle due to the popular use of smartphones or tablets. This platform has become the primary means of communication. These applications also offer the information as per the need of an individual. This is the reason mobile application has gained so much importance in the present market. Mobile applications permit the person to reach all information just with a click away. It also acts as a reminder to notify you about all the important happening of your life. A mobile website exists for using it on a mobile device, where it consists of browser-based HTML pages which are linked together and accessed over the internet. Tablet or smartphone users can navigate or read your website easily. 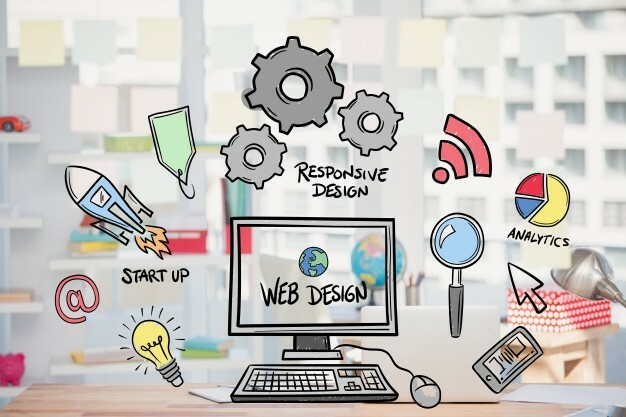 There are mainly two options when you go for building a new website, desktop, and mobile. Mobile sites are, especially for the mobiles. In simpler terms, a mobile-friendly website is a compressed version of the desktop sites. The mobile responsive website is present for the platforms like IOs, android, windows, etc. As the mobile sites are the mini version of the desktop sites, they can be instantly accessible through mobile phones. 1) Brand Identity – Mobile apps are useful but then it does not specify a brand wherein mobile website can help you build your brand name in the market and helps to stand uniquely. Mobile website gives you a contemporary and a distinct brand identity that will automatically increase the value of your business. 2) Improved user experience –Mobile sites are specially designed for the mobile devices and therefore it is easily accessible on every phone. This, in turn, creates a positive impression on the users which is user-friendly and the users are satisfied. 3) Competitive edge – Mobile friendly website is growing rapidly and hence that gives your business a great competitive mode to do better and helps your organization to grow better. If you go for a mobile website then there are chances of you staying ahead of your competitors. 4) Faster download speed – As the download speed is favorable, the browsing becomes much faster in the mobile sites. The best mobile websites are designed as per mobile standards and therefore you get a good speed. 5) Cost effective option – Having mobile website costs you less when compared to the mobile app. Purchasing apps cost you more and therefore best mobile website is always the right option. A mobile website is the best cost-effective method to reach the target audience. Mobile websites can be accessed directly through the website directly while mobile apps need to be first downloaded by the user and then has the access. As in today’s time, we are already witnessing the change in technology where mobile devices are taking over the laptops and PC’s also. So, it would be a better idea to switch to the mobile responsive website from mobile apps. If you want your business to grow for better, then it will be clever to develop a mobile website instead of the mobile app. These are the five top advantages of replacing your mobile app into a mobile website so that you get the targeted users and also your business flourishes with the help of your mobile website.